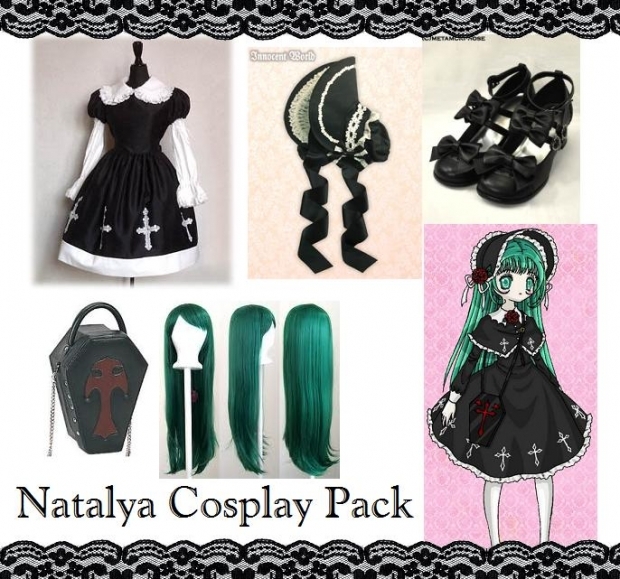 The dress is Victorian Maiden, the bonnet is Innocent World, the shoes are from Metamorphoses Temps de Fille, The wig is from ebay, and the coffin purse by Demonia. Lace border stock available here! Next up will be Alistair's cosplay pack. I wish other people would make cosplay packs of their OC's, it's fun to see what you can come up with while trying to piece together an outfit similar to your character's.